Mr. Jones has over 12 years of biotech industry experience, including over a decade in single molecule research. 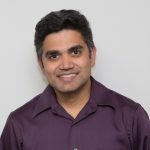 While at Helicos BioSciences, his responsibilities included applications development, instrument prototyping and validation, customer support, and bioinformatics, as well as sales and operations. Previously, Mr. Jones worked at U.S. Genomics in the Methods Development group and on development of their Trilogy 2020 Single Molecule Analyzer and Direct mRNA assays. At EXACT Sciences he worked on the ColoGuard assay, a non-invasive, FDA approved molecular diagnostic for colorectal cancer.